Starting from today, Prof. Venkataraman is beginning a new musing series which he calls “Discourse Walkthrough”. These are special talks based exclusively on clippings extracted from innumerable discourses delivered by our beloved Bhagawan Baba over a period of seventy and odd years. Presented below is the suitable edited transcript of this talk which was first featured on Radio Sai on December 30, 2012. Loving Sairam and greetings from Prasanthi Nilayam. Starting today, I am going to present a new series, one which I would like to refer to as DISCOURSE WALK THROUGH. Right from 1940 when Baba first declared His Avatarhood, Swami delivered thousands of discourses. Sadly, not all were recorded, and even among those that were taped, we have only about 60% of the recordings. Ideally speaking, we should be having copies of all the recordings made. However, since no proper system of collection and compilation of discourse recordings existed in the early days, our collection is not as full as it ought to be. Even so, we have quite a few and I thought it would be a good idea to revisit some of those precious recordings. By the way, let us not forget that until now we did not have the voice recordings of the Avatars. There are of course any number of books about the earlier Avatars, but no voice recordings - absolutely none. By the time Shirdi Baba walked the earth, recording technology had made its appearance, but sadly no voice recordings exist of Shirdi Baba’s voice, at least to my knowledge. In that respect, we are extremely fortunate where the Sri Sathya Sai Avatar is concerned. It is that fact which induced me to try out this new experiment. My idea is not merely to offer glimpses of Swami’s golden voice but also allow you to experience once more the passion, the intensity and the energy with which Swami spoke. Above all, I would like all of us to understand in some depth what Swami was telling us, besides appreciating the deep concern He felt about how we were frittering away life, without being bothered about the purpose for which God blessed us to be born as humans. I should stress here that in the ultimate analysis, the essence of Swami’s message was always the same. However, the way the message was presented varied from occasion to occasion; this was understandable since Swami addressed diverse audiences that ranged from school children, all the way to professionals and distinguished people. The discourse I have selected for presentation today was delivered by Swami on September 3, 1996. For the record, I was the Vice Chancellor of Sri Sathya Sai Institute of Higher Learning then. Incidentally, the date September 3 is significant since it marks the anniversary of the beginning of World War II. That is the deadliest war fought to date, a war which was brought to an end with the deadliest weapon invented by man, as if to remind humankind of the futility of violent conflict. War is always a tragedy indeed even for the victor, for it reflects how violence has a way of perpetuating itself, unless reason intervenes. Sadly, even though there are presently tens of thousands of bombs each several hundred times more deadly than the Hiroshima bomb, humankind is far from achieving ever-lasting peace; this despite the UN and so many other international agencies. In my view, Swami’s teachings alone offer the best recipe for solving all Mind-made problems. It should be our collective endeavour to make society appreciate that fact and take Swami’s message seriously. Requesting you to bear that in mind, let me now get started. Listen to this first clip from the Discourse I have selected. After singing the padhyam, Swami would usually give a brief indication of the theme of the day. What is the theme Swami has chosen for this Discourse? Let us find out by listening to the next clip. There is nothing in this world that is more important than Knowledge. What exactly does one mean by the word knowledge? Is it knowledge of the physical world or of philosophy or is it spiritual knowledge? No doubt all these are important. However, superior to all these is Brahma Jnana or Divine Knowledge. What exactly is meant by Brahma Jnana? Seeing God in everything in the Cosmos and experiencing True Unity in diversity is what Brahma Jnana really means. That is the paraphrase of the second clip. Briefly stated, seeing God in everything, everywhere, and all the time – that is what Brahma Jnana is all about. That is the Knowledge we really should be bothered about, but are we in the least? In fact, how many of us have even heard the word Brahma Jnana, sometimes also known as Atma Jnana? How many of us are aware that Atma Jnana was what Lord Krishna taught Arjuna in the battlefield, minutes before the commencement of the famous Kurukshetra war? And how many of us realize that through His innumerable Discourses, Swami was all the time telling us about the centrality of Atma and Atma Jnana? Sadly we do not, and through this Discourse Swami is making one more effort to help us. Maybe I shall come back to this theme later but for now, let us move on and listen to the next clip. In this clip, Swami is promptly zooming on Prema or Pure Love. In almost all His Discourses, Swami quickly connected to Prema because that was the simplest and easiest way to relate to Atma and everything that follows from it. If dal without salt is tasteless, life without Prema is bestial! Thus, first and foremost humans must manifest Prema Thathwa or the Love Principle, because Love is God and God is Love. At the same time, one must be careful about how this love is shown in worldly affairs. It is true one cannot relish dal if it lacks salt. At the same time, does that mean one would like dal if its very salty? Hardly! We fuss so much about getting the salt component just right. We pay so much attention to the taste of dal which is going to be digested anyway within an hour or so. But do we bother in the least, even for a minute or so about the quality of our life which could last 30, 50, 60 or even 80 years? Can one call it life if it lacks humanness? Not at all! On the contrary, life must have the effulgence of human values, EVERY SINGLE SECOND! Swami often used analogies to make His points. In this case He begins with the importance of achieving balance in cooking in order to achieve good taste. Indeed, balance is vital not only in food but in many other things in worldly life. Agreed that quality is essential in life but what about the quality of life itself, especially beyond the purely material dimension? After all we are more than just flesh and blood, are we not? So should we not pay some attention to this angle too? That is Swami’s point. Now it is customary to think of life as beginning at birth and ending at death. Getting life right is thus always viewed from this limited perspective. However, life is much more than that because the life we are presently experiencing happens to be just one “day” or one chapter so to speak, in the continuing experience of the embodied Atma, with each birth being a new day with a new body. As Swami often reminded us, death is merely the change of dress. We are now ready for the next clip, which is short but important. God does not hide Himself anywhere. If we are not able to see God, it is because we have created darkness for ourselves. How can we see when there is darkness? Don’t we know that the way to remove darkness is to switch on the light? Our problem is that not only are we unaware about the light and the switch but, what is worse we stubbornly refuse to listen to what Swami says about such matters. That is because our priorities are all wrong. Our focus is entirely on short-term gains instead of being on long-term goals! Let me now amplify the above, starting with the reference to darkness, light, switching on the light, etc., which I shall do by recalling a well-known Upanishadic story. The story goes like this. There is a villager who enters an empty hut that is poorly lit. In a corner he sees something long, thin and curled up, which to him looks like a snake. Frightened he rushes out crying, “Snake, snake!” Villagers gather, one of them carrying a lamp. Armed with sticks and using the lamp to guide them, a few villagers enter the hut. Far in the distance they do see a menacing something lying curled up. Cautiously they inch forward, their sticks held ready to strike. When they come close to the suspicious object all they see is a curled up rope. The idea that there was a snake was clearly wrong; instead, it was a rope that was mistaken to be a snake. Commenting on this story Vedanta goes on to say: In this world, we perceive through our senses. There is nothing wrong with that since it was God Himself who gave living beings the blessing of sense-perception. By the way, senses were meant for physical survival. Yes, senses do reveal all sorts of shapes and forms, and there is a limited reality to what they disclose. However, where Total Reality is concerned – and I stress the word Total – we should not stop with what the senses alone reveal. True, for animals reality ends with what the senses perceive but where we humans are concerned, we would be foolish to stop with that step; instead, we should look far beyond mere sense perception, beginning with inquiry, spiritual inquiry that is. And that precisely is the moral behind the Upanishadic story I just narrated. Discussing this story, spiritual commentators invariably point out that there was always only a rope and nothing but a rope. What happened was that when the first villager entered, he did not have enough light to see. So he superposed the image of a snake on the dimly lit form of a curled rope and then concluded that there was a snake. The snake was not reality but an illusion that was the result of darkness. Once light from a lamp was allowed to shine on the object concerned, it turned out that what was believed to be a snake was after all a rope. Notice that the lamp did not convert a snake into a rope; all it did was to remove a wrong perception or ignorance. Superposition of a delusion on a limited reality and mistaking it for Total Reality is what maya is all about. That is Vedanta’s point, and it exhorts us never to be satisfied with what our senses convey. Let us now carry all this over to practical life and the illusions we create for ourselves through limited perception. Take money for example. People think that if they have enough money, they could buy anything including happiness. This is a mistaken belief because true joy or Ananda as Swami often referred to it, is a quality beyond the material world. How can we access something that is beyond the material world with mere cash, which is something that belongs solely to the physical world? This is where Brahma Jnana comes in. Remember, the core teaching of Brahma Jnana is that in Creation we must see God in everything, everywhere, and all the time. If we did that, we would not regard money as a vehicle for material advancement but as Lakshmi, the Goddess of Wealth. We would then worship money and hold whatever wealth we have in trust, for use in doing God’s work as He directs us to via situations He creates in life. Incidentally, if we interpret wealth a bit more broadly, then all gifts of God such as physical strength, money, artistic skills, literary and other professional skills in areas such as teaching, medicine, etc., would be regarded as “wealth” to be held in trust and used for God’s work. 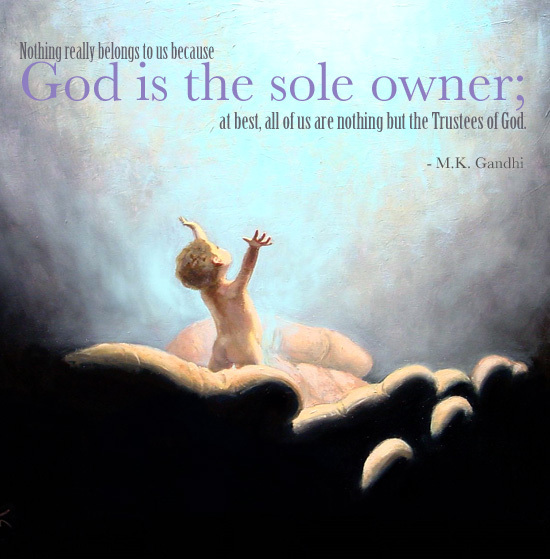 Mahatma Gandhi often used to say that nothing really belongs to us because God is the sole owner; at best, all of us are nothing but the Trustees of God. Some of you may recall Kasturi describing how after he was born, he was taken to the temple, placed before the idol and then taken back as the child of God, whom the physical parents must bring up for doing God’s work. That difference between what Swami said and what we believed is the difference between delusion and Total Reality! Our perception of reality is based on what our senses tell us, which is always about the form, shape, etc. Yes, the form, shape, smell, taste, etc., do convey information. But can we draw a conclusion based on limited information alone? In criminal cases, the police try to solve the case based on information and evidence they gather. If they are not careful and glibly draw conclusions based on inadequate enquiry and limited information, they are bound to end up arresting the wrong person as happens sometimes. So also in life, unless we are thorough in our enquiry, we would never be able to appreciate why Swami is saying ‘microphone is God’. To understand this better, let us follow up on Swami’s remark that microphone is God. Swami has stressed that this does not mean that the object called microphone is an illusion. It is not; the object does exist as in fact our senses tell us and does have a physical reality. Swami Himself has emphatically pointed out the validity of empirical reality; but He has also cautioned us that beyond the empirical, there exists a transcendental Reality, and that is what we really ought to be aware of, all the time by the way! And that Reality which lies beyond, cannot be accessed by the senses or, for that matter, even by the Mind – that is the crucial point. Let us take all this a bit further and do so by noting that it is humans alone who have been able to develop the mike and not the tiger or the crocodile which have existed for millions of years before man appeared on earth. This might seem like a rather silly and trivial point to make but it is not, and the reason is the following. Now all of us are used to the belief that humans can do wonders because of the power of the human Mind. 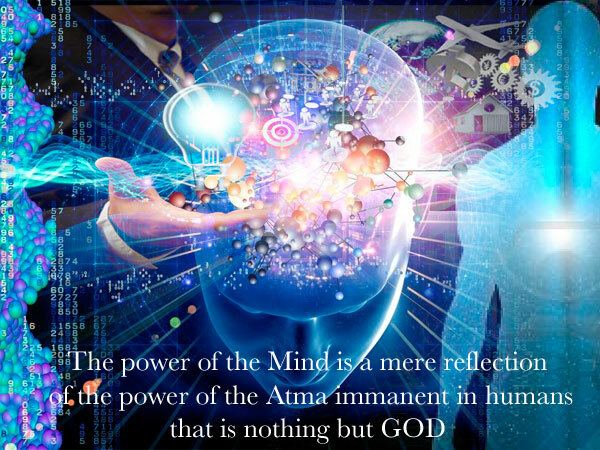 That is indeed true, but we hardly ever spend even a minute to acknowledge that power of the Mind actually comes from God. Evolutionary biologists try to explain this power as entirely due to brain development through evolutionary processes. However, as Krishna emphatically points out to Arjuna, the power of the Mind is a mere reflection of the power of the Atma immanent in humans. What Swami is doing is to remind us what He told Arjuna; the only difference is that while He told this to Arjuna only once, our beloved Swami told this so many times and in so many Discourses too. The big question is: Are we paying any attention at all to what our Lord dinned into our ears repeatedly? 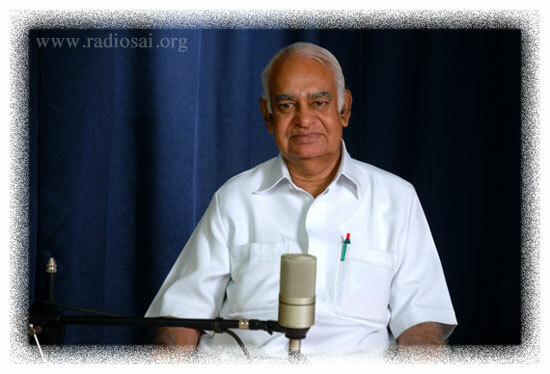 Swami says that if man was able to invent the mike and follow it up by developing amazing sound systems, it is all because of the power of the Mind, a power that has come entirely from God. Since that power has come from the Lord Himself, we automatically have a moral obligation to use all God-given faculties and powers solely for doing God’s work here on earth. But are we doing that? Going back to super sensitive microphones and remarkable sound systems of modern times, don’t we see a lot of misuse of these at the present time? Rock bands, for example, blast sound at unacceptably high decibels in order to make their listeners feel ‘high’. However, in the process they also cause huge damage to the auditory system of their listeners. Rock bands seem to be unaware that the human ear was never designed to face such high decibels, or even if they did, they do not care. Their sole interest appears to be to create ‘excitement,’ and this is one example of misuse of audio technology. Many years ago when I was serving in the Indira Gandhi Centre for Atomic Research at Kalpakkam, I was living in a beautiful staff colony located on the beach. There was a hospital there and right next to it, there were two small temples. One day there was a festival and both temples hired a sound man to play music. This contractor put up loud speakers and blasted away at full volume, unmindful of the hospital right next to the temples. I tried my best to din some civic sense into the contractor and the temple authorities as well. Neither would budge an inch – they wanted full blast music to please their Gods; if the patients and little babies in the hospital were inconvenienced, it was just unfortunate. I am mentioning this to stress how different things would have been if the contractor and the temple authorities had understood that sound systems were God, as also the patients in the hospital. Again and again Swami told us, “I am in you, with you, around you, below you, above you,” and so on. If we took that declaration seriously, we would not be doing so many of the things we glibly engage in these days, without appreciating the hurt we cause to so many, knowingly or otherwise. What happens then to Swami’s admonition, “Hurt never”? To sum it all up, merely seeing objects with our senses would not do, because that reveals only the empirical reality associated with the physical Universe. Behind this empirical reality there lies a Higher Reality, which is the immanence of God in every bit of the Universe. That is why Swami also said: “Bulbs are many but current is one”. His point was that by looking merely at the bulbs alone we are focusing on diversity.